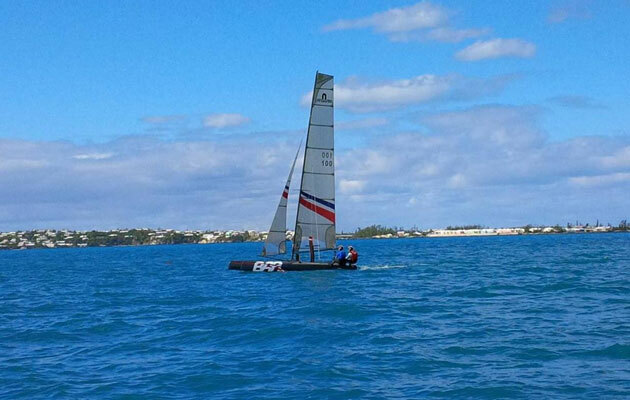 Ben Ainslie Racing is the first America’s Cup team to land in Bermuda for training ahead of the 35th event in 2017. Having arrived over the weekend, the team has assembled two of their foiling Nacra F20s and will be taking part in a week-long training camp. Ainslie, who played a vital role in Oracle Team USA’s win in 2013, is hoping to lead a British challenge to success. Speaking about his trip to the island, the 37-year-old told The Royal Gazette in Bermuda: “It’s about learning a lot about the conditions on the water to help our team both in terms of sailing and design. “We are still two and a half years away but all that period is going to be crucial, so we are very happy to be back in Bermuda and for us it’s the start of a long journey here. The team’s arrival on the island comes a few days after the America’s Cup World Series (ACWS) Portsmouth announced more details about this summer’s upcoming racing off the UK’s south coast. Taking place between 23-26 July 2015, this will be the first of two ACWS events hosted by the city, with the second happening in 2016. More than a half a million visitors are expected to descend on Portsmouth, with organisers aiming to create a “hive of activity” in the area in the build-up and throughout.